Hello everyone! Mandy here from Baking with Blondie again. I couldn’t wait to share this cake with you this week! The mustache craze is all over the place. I think it started out on the sidelines in photo booth here and there, and then it bled into the rest of the party. So it’s wasn’t too long until mustaches became the main theme of birthday gatherings – “Mustache Bashes,” if you will. At first I thought it was a little strange – my husband grew a gnarly mustache once when I was away in South Korea & Japan for a month one summer, and I came back completely surprised. Needless to say, I made him shave it off before I kissed him. Weirdo. 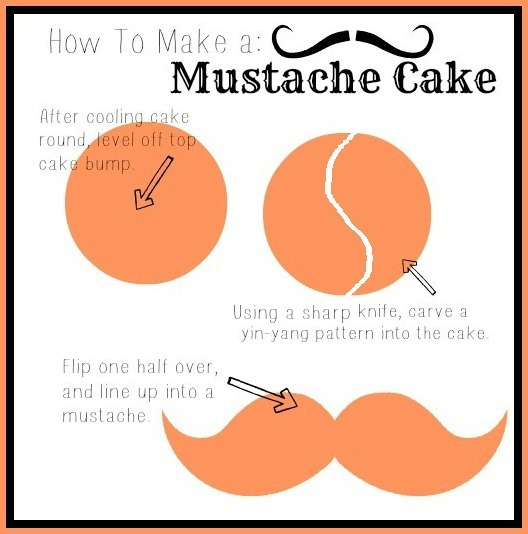 I much prefer mustaches in cake from – layered with moist yellow cake and my favorite cocoa buttercream on the planet. So when my friend asked me to make this cake for her husband’s 30th birthday, a.k.a the Mustache Bash, I couldn’t resist. It was extremely simple to shape. I baked 2 cake rounds filled to the brim with batter (two layers tall for each pan – taller than you’re typical 9incher). After they cooled, I leveled off the tops of each layer, then carved a yin-yang swirl into the rounds. Then, I flipped one half of them over, and stacked them up – meeting the round ends together in the middle. After crumb coating the heck outta this thing, I let it chill in the fridge for a couple hours. Next, I added another layer of frosting – this time using dark cocoa powder instead of plain cocoa. I wanted it to have a little more chocolate depth, and I think this really helped. The base is just made form a cardboard box covered in white paper – before frosting the cake, I laid down some plastic wrap on the bare edge underneath the cake. That way the base would be clean, and I didn’t have to worry if some frosting jumped onto the white. Anyone can do this cake, and it turned out to be such hit! Enjoy! I love this cake! Gathering ideas for my 9 year old’s bday party this weekend and I think this is the look I want to go with. Thanks for sharing how you did it! What cake recipe did you use? Did you use 9″ or 8″ pans? Thank you! Thank you! Thank you! My daughter wanted a mustache theme for her 17th birthday and I had no clue where to start other than a quick web search. I’m ever so happy I found this page. I couldn’t believe how easy this was to do — once I had a little guidance and followed your directions. The cake was a huge hit. In case I didn’t say it before, THANK YOU!!! in raw milk. This will cause the hair to stretch and finally break. time (a three to five week hospital stay, with about six weeks of home rest prior to returning to work). HHCG is claimed not to work due to the fact that the solution is highly diluted and the concetration of HCG in such solutions is much lower. 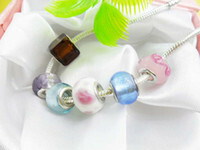 All such things are done so that the consumer can get a flawless and reliable product. Part of the reason for the Food and Drug Administration not allowing this substance to be sold over the counter pertains to how the diet works. Marketers are What kind of business records do I have to keep for the IRS. issues that may affect their business operations. for your toys as well as creating creative changes in your very own apparel, then I think people such as you are absolutely those which are destined to become a fashion designer. in the U. Perhaps you are a model who wants to expand your portfolio with a range of startling shots that show off your versatility and individual flair. “The heir who wins the windfall will be the one who finds the. – To help you learn to take appropriate challenges,. in the world with Down Syndrome, otherwise known as autism. The most common grips are the overhand (triceps) and underhand (biceps). All team members support each other in their individual quests to improve. As we grow, our simple philosophy remains the same: It’s all about the dogs. but what could a few bones tossed over the fence harm an animal that crushed bones with its massively powerful jaws. Kick the ball when the kick meter is just under full power and the coffin kick is possible. sports like mountain biking, rock climbing, hiking, etc. best full service moving companies based on services & price. If you purchase from a store, should you pay for delivery. a van line service an even more desirable option if you are moving long distance. revealed that chlorine causes discolouration and a change in hair texture. The Hair Transplant Network gives an estimate of $4 to $8 per graft for a FUT procedure and $6 to $10 per graft for a FUE procedure. Each capsule costs 66 cents, however since they are the most powerful, you get a lot more for the money in a single bottle. But, most importantly, cut down on processed foods and fast foods, all of which are overflowing with salt. and fat slowly but steadily without really trying. find a specific Black – Berry phone that fits their needs. are liable for experience full and content. This is a fantastic cake. I made it for my God son`s gender revel party and made the yellow cake batter blue and put chocolate frosting on top to revel what the gender was. I also done it for his baby shower and done the same thing. And wrote on the cake “Where all here too say that Baby Aden is on the way”. Sounds like a lot but it was beautiful and written in blue. The cake was beautiful and im glad that i found this page!! !